Here's Part 2 of my Disengagement series. See Opening Old Wounds, Disengagement, Part 1. Last Friday, early during my visit with Menachem Begin Heritage Center employees to the Gush Katif Visitors Center in Nitzan, suddenly something hit me. I hadn't thought of it before at all. I'll never forget how during the horribly tense times before the forced evacuation of Jewish communities and homes actually happened, I corrected those saying that it was a matter of 8,000 (whatever the exact number) families. I kept saying that we had to stop the precedent of Disengagement to protect Jewish life in Judea, Samaria, the Golan and Jordan Valley, even later on the rest of the State of Israel. Yes, I remember a government official/minister on television, looking drunk with the power of life & death happily announcing that more of the Land of Israel would be judenrein very shortly. And that included Shiloh, which then was considered small, unimportant and isolated. But here we are over a decade later thriving. Gush Shiloh has grown enormously, as have most other Jewish towns, communities and cities in Judea/Samaria. Despite the precision/efficiency of the army in dragging people from their homes, packing their possessions and bulldozing the houses, schools and more, the country was ripped apart and in pain by the sight of IDF solders crying and obviously traumatized by their cruel orders. The government had put more effort into planning the destruction of Gush Katif and the Northern Shomron yishuvim included in Disengagement, than in the "day after." There were prefabricated homes set up for only a small fraction of the families. Others were crowded into small hotel rooms and rented apartments. And don't forget that the Arab terrorists in Gaza reacted to the proclamation of Disengagement, the destruction of Gush Katif by launching rockets at Israel's south. This had been going on from before the actual destruction. Over time, as the victims of Disengagement, slowly and painfully tried to rebuild their lives, talk of destroying mine and my neighbors got softer and softer. The true price of Disengagement was/is a lot higher than the State of Israel had ever imagined it could be. 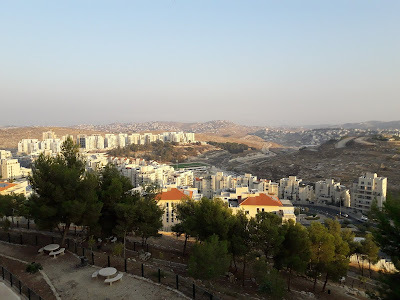 Some of the Left still pays lip service to the idea that our communities can be easily destroyed for a "peace sic agreement," but as second and even third generation Jews in Judea/Samaria build homes here reality mocks their plans. It becomes clearer every day that Disengagement was a cruel, evil mistake. It certainly didn't bring peace, and it may have kept Arik Sharon out of "jail." But Gd then took away his power in a stroke to remind us all Who's really in charge. Davka, the ramifications in terms of Jewish life in Judea and Samaria are something else. Disengagement showed the State of Israel that we aren't chess pieces that can be easily manipulated. 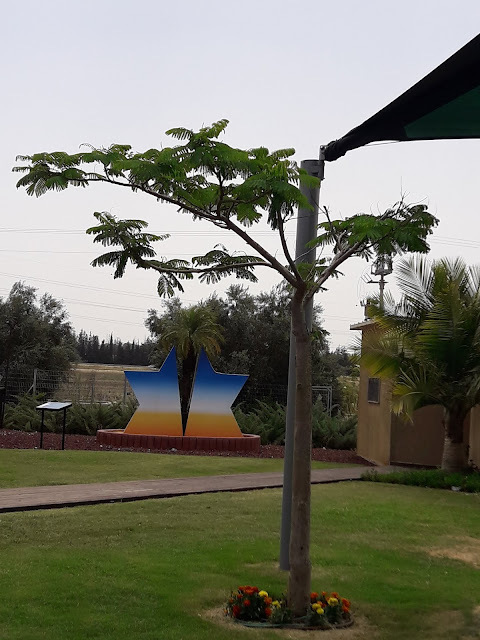 My biggest complaint about the "message" from the Gush Katif Visitors Center is that when they listed communities where people moved to, they leave out the Netzarim group in Ariel and all of the many in various yishuvim of Judea/Samaria. That inaccuracy makes it very clear that the leadership didn't and don't see us all as one group with the same needs, but that would be another blog post, not as upbeat.